Considering the massive gap between corporate-backed Crowley and Ocasio’s working class message, it’s truly regrettable that a series of labor unions, including the CWA which backed Bernie Sanders, and progressive organizations, particularly the Working Families Party which endorsed Cynthia Nixon for governor, have decided to endorse Crowley. This flawed strategy of trying to appease the leading candidate has only led the movement to water down its demands in order to get a few crumbs from establishment politicians. History shows that fighting back, rather than lobbying, is the best way to force the billionaires and their representatives to make concessions to working people. In Seattle, socialist city councilmember Kshama Sawant has just a single vote on the council, but rather than making backroom deals, she has used her position to build powerful movements and help win change in the streets. Sawant’s 2013 independent socialist campaign in Seattle was the only city council campaign in Seattle to support fast food workers’ demand for a $15 an hour minimum wage – no other councilmember or candidate would support it until our campaign helped make it popular. We didn’t demobilize our campaign or stop fighting for $15/hour after winning the election. In fact, that was just the start of our fight. 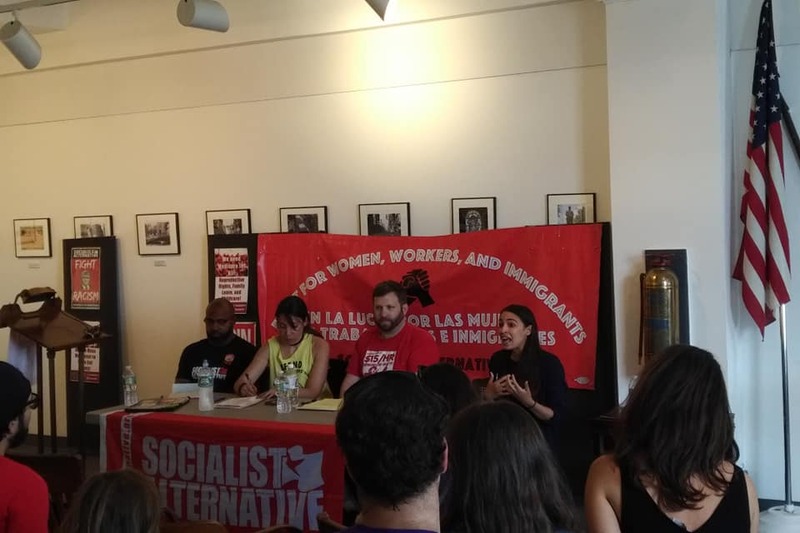 Sawant and Socialist Alternative immediately helped launch 15 Now which built a mass campaign that threatened to launch an independent ballot initiative for $15/hour if city hall couldn’t deliver. We won within six months of Sawant taking office. making Seattle the first major city in the country to chart a path to $15/hour and helping spark similar efforts around the country.